Newport National Golf Club, one of New England’s finest golf courses, sold to Combined Properties, Inc. 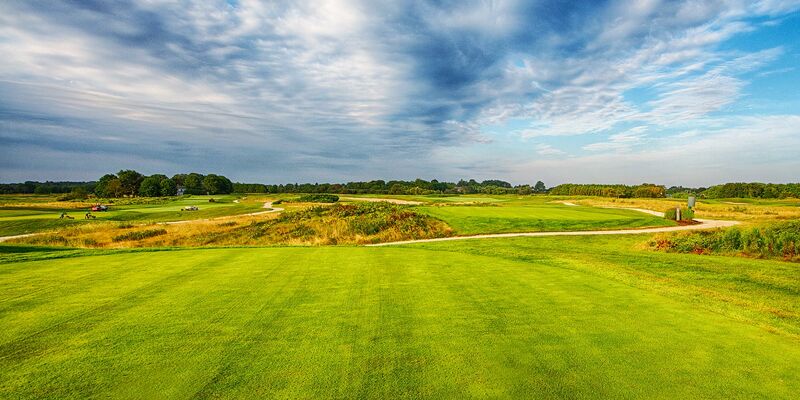 Combined Properties, Inc. purchased the 350 acre Newport National Golf Club on Aquidneck Island, including the award-winning Orchard Golf Course which originally opened in 2002. “We are very excited to announce the purchase of Newport National Golf Club. As a golf enthusiast and resident of the community I was thrilled when this rare opportunity presented itself.” said John M. Pereira, President. Newport National was recently selected as the “Number One Public Access Course in New England,” by New England Golf Monthly. Legendary golf architect Arthur Hills and his associate Drew Rogers designed the challenging 7,244 yard Orchard Course. The 18-hole links-style course sports sloping fairways, marshes, and strategically placed bunkers. The dramatic setting boasts views of the Atlantic Ocean and Sakonnet Passage, while challenging golfers with steady winds coming off of the Narragansett Bay. Newport National is reminiscent of courses in Ireland and the legendary Scottish links. Golfweek Magazine placed the course in the “Top Twenty New Courses in America” soon after it was completed. Newport National partners with the Aquidneck Island Land Trust to preserve open space and natural wildlife habitats. A conservation easement protects the property which includes nearly five miles of the Sakonnet Greenway Trail, a bridle and walking path along the course perimeter. Newport National has been certified by Audubon International to participate in the Audubon Cooperative Sanctuary Program for Golf Courses. The Cooperative Sanctuary Program for Golf recognizes Newport National’s commitment to safeguard the quality of the environment and responsibly care for the land, water, wildlife, and other natural resources upon which the course is sustained. Newport National Golf Club is near the varied amenities and attractions Newport, Rhode Island has to offer. Newport, Rhode Island offers spectacular coastal scenery, awe-inspiring architecture and a thriving waterfront downtown. Newport is famous worldwide for its Gilded Age Mansions, Cliff Walk, Newport Jazz & Folk Festivals as well as being the yachting capital of the world. Newport is also home to diverse eateries throughout its eclectic street and at the lively Bowen’s Wharf and Bannister’s Wharf. Combined Properties, Inc. is a full-service investment and development real estate firm specializing in first-class office, R&D, industrial, retail, medical, and multi-family residential properties in communities north of Boston. The Malden-based firm has purchased, developed, and managed more than 2.6 million square feet of space.